Quincy is the name of a village in the eastern Loire and also of a small appellation located south-west of Sancerre along the Cher river; it sits apart from the other, more regrouped Loire appellations, like its sister appellation Reuilly. There’s only one variety grown on the Quincy appellation, Sauvignon, and for us French wine amateurs who can’t buy Sancerre on a regular basis, the Quincy wines are a nice consolation at an affordable cost. The planted vineyards make about 220 hectares on both sides of the Cher river, on sandy or gravel soils with also some silt. 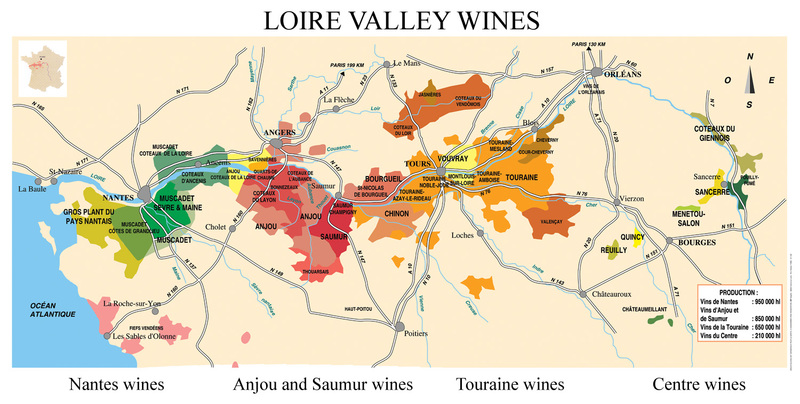 This very old wine-producing region which was making both reds and whites in the past, ended up being centered on Sauvignon, and was oddly the first Loire region to get an appellation status, on august 6th 1936 to be precise. Read the very-detailed Quincy page by Richard Kelley. 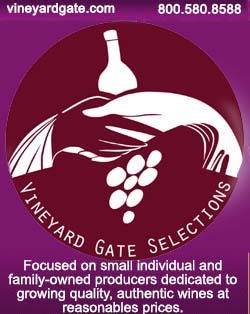 Pierre Ragon is the 5th or 6th generation of growers/vignerons in Quincy, the first Trotereau (his mother side) arrived in Quincy in 1804, coming from Vierzon where they were making wine too. Although Vierzon is close from here and just a few kilometers north, it's hard to imagine today that there were vineyards there long time ago (it's mostly known in France for being a railways crossroads). Pierre Ragon began to work as an independant vigneron in 1973 from 4 hectares owned by his uncle/family and since then he replanted 10 more hectares, making a total surface of 14 hectares. That already quite a surface especially that he works alone with a permanent employee. It's all Sauvignon of course except for a few diverse rows that they vinify for themselves and don't sell (I love to know that there are such secret gardens and their mysterious wines...). The winery sits in the village of Quincy, in the very house built by his mother-side ancestors in 1830. The bottle cellar at Trotereau Domaine Trotereau is not a big estate, and Pierre Ragon makes some 50 000 bottles a year on average, but when you look at the Quincy Appellation, it's not a large area either : There are about 35 growers/vignerons on Quincy for a total surface of 260 hectares, and more than half of these 35 sell to the local coop, the Cave Romane de Brinay. The region lies in the shadow of its more glorious neighbor, Sancerre, and the Quincy Sauvignon wines around here can be commonly found at prices going from 4 € to 8 €, well below the export-driven Sancerres. In the area, people look to make big volumes in general, he says, with the grapes often being picked not ripe and so on. For his part, Pierre Ragon picks when the acidity goes down, like under 5, like 4,8, it's fine for him. In 2010 some began to pick at 6,8 and that doesn't make a good result. The belief around here, he says, is that Quincy wines must be fresh and vivid (frais et vif) and they pick and vinify for that goal, loosing the aromatic side in the way. He aknowledges that harvesting later means more risks with a more arduous vinification, but the resulting wine is much more rewarding. That's the choice that he made anyway. His wines may be spotted as different during the agreement conmission tastings, but they still pass the test. What may happen in these commissions is that a wine can be adjourned for having a slight bitterness, something Pierre Ragon doesn't consider a fault. Being ajourned doesn't mean banned from getting the appellation, but it delays the green light for a couple of weeks until a following agreement session, which ads some stress and pushes the vignerons to apply some sort of self-restraint on what they bring for the agreement. Serving temperature counts by the way, the bitterness being more obvious when the wine is cold, he says. Also, the bitterness often disappears by june following the vintage year, and the agreement commission taking place earlier, they misjudge the wine as if it was as is forever. Pierre Ragon under the open harvest barn Outside of the cuvée found in Lavinia in Paris (a parcel selection), Pierre Ragon makes two cuvées only every year, a cuvée Tradition and a cuvée Vieilles Vignes (old vines). The cuvée Vieilles Vignes is made out vineyards mostly planted by his grandparents in 1905, the rest being planted in 1934. The cuvée Tradition is made from vineyards that he began to plant in 1988, these are thus young vines. The facility is still located on the family property in the village of Quincy, but there is not much room, so Pierre Ragon had this barn-like open roof built in the courtyard facing the 1830 house, under which he stores his machinery but also two coupled former freight containers inside which he set up a vat room. You can see the 37-hectoliter Bücher press in the background. In addition to this press, he uses two other older-generation Vaslin presses because on some days he has to press several plots in parallel. A press load takes 4 hours usually. Vintage straddle tractor At one point, we stopped near the old straddle tractor that we name commonly enjambeur in France, it looks like a machine imagined for Brazil, the movie. It's like a naked skeleton with metal sticks and commands in full view, and the engine is not encased , which, if noisy, must allow it to cool easily. Asked about its reliance, Pierre Ragon says that it's very easy to fix, there is no electronics in there or computerized systems. I notice also that it looks very light, which mùay be an advantage when riding over the rows. Asked about his farming, he answers that he is not farming organic but uses chemical products as moderately as possible. He also does use weedkillers, adding that doing otherwise would be too constraining. In the container vatroom After the pressing, the juice goes through a débourbage stage, meaning that the juice gets rid from its gross lees through cold settling in a big metal vat right near the press. Separating the thick must the juice takes from 24 to 36 hours under cold temperature, then the juice is pumped into the fermentation vats. One of the fermentation vatroom has been set up outside in the courtyard under the roof, a couple meters from the press : Two former freight containers have been connected in line and fitted with 5 metal vats making 50 hectoliters each.. The ceiling in there is pretty low but that is enough for the vats, and at the beginning the cooling system of the freight containers allowed Pierre Ragon to cool the whole room at once. Now, he uses cooling coils (drapeaux) to cool individually each of the vats. Asked if the press juice and the free run juice are blended, Pierre Ragon says that it depends of how they taste. Another vatroom in the house There are many rooms with vats here, some being odd places like this low-lying container, or the shack right on a corner of the courtyard, but some others are in the family house itself. There seems to be enough stainless-steel and enamelled-metal vats to vinify a good number of plots. Pierre Ragon says that the fermentation can last from 3 weeks to 2 months, and he uses neutral yeasts to get the fermentations completed. The ones on the picture above are temperature-regulated, the two on the front make 58 hectoliters each, the one behind 75 hectoliters. Pierre Ragon makes an occasional racking, pumping the wine into another vat, when he consides that he must get rid of the thickest lees. The wine has anyway still fine lees to feed on after the thicker sediments have been taken off. Other, enamelled-metal vats (Scheiber) On the other side from the stainless-steel vats, there are a few enamelled-metal vats which are still in service, you can read the make on a small plaque which read "Cuves Scheiber", I'm not sure this make still exists. The wine in there is part of the old vines cuvée. For these vats, Pierre Ragon uses mobile cooling coils, of the type that we call drapeaux in French because they look like flags. You can see a handful of such coils leaning against the vat. As said above, they're commonly used to keep the temperature of the juice in check during the fermentation. Most of these vats are still full with the Sauvignon 2010. The malolactic fermentation isn't let through at Domaine Trotereau, it is blocked through SO2. SO2 id added at the harvest too, to select the yeasts, also at rackings, but each time they make lab tests to know exactly what amount (which he keeps as minimal as possible) needs to be added. At bottling, Pierre Ragon corrects the level if needed and he also adds CO2. The CO2, under gas form, is mixed the wine in tubed and it helps protect the wine too. Pierre Ragon among some of his old Sauvignon vines After the visit we made the short drive to the vineyards just outside of the village of Quincy. Pierre Ragon's old vines are really old vines, meaning that he doesn't replant the missing vines which on some blocks results in really very few vines still standing. He says that if he replanted it would rejuvenate excessively his old vines blocks and would make a cuvée vieilles vignes meaningless. The soil is mostly clay and limestone with some quartz. __Domaine Trotereau Quincy Tradition 2009. Bottled 3 weeks earlier. Lightly perly, an aromatic wine with pear pit notes, white flowers. A pleasantly balanced wine. Pierre Ragon and his cousin who joined us look for a spit bucket but I tell them that I don't think I'll risk a breath check in the afternoon for my motorbike trip back to my base further west from here. __ Domaine Troterau Quincy Vielles Vignes 2009. I smell some hawthorn. Obviously more depth and class here. Nice one. It's also more on the exotic fruits, citrus maybe. Obviously a few steps higher compared to the young vines, and the vinification was basically the same, with the élevage in metal tanks. __Domaine Trotereau Quincy, undisclosed (at first) vintage. Pierre Ragon uncorks with a smile the dusty bottle (pic on right) that he brought from a corner of the cellar where it must have been lying for a while... The color of the wine is surprising, a mix of gold, amber and lightly green shades (see last picture at the bottom). The nose is amazing, you want to just take time to breath it first. Asked about its story, Pierre Ragon says that this wine had an impressive residual sugar during the vinification and he put it to ferment in one of the 58-hectoliter stainless-steel vats, at 3/4 full, the wine alternating there between fermentation bouts and pauses for almost a whole year, before finishing at last just before the harvest. Aromas of flowers, walnut, hints of what could be perceived as wood, but there has been no wood contact here. Very classy wine, perfectly dry and neat in the mouth. Pierre Ragon says that it's the wine he's the most proud of. I can't find a reason for the color with this green, and he says that it comes from the long élevage in bottles, but also the wine had a good concentration originally in this vintage. So, what vintage is this ? It is a Quincy Vieilles Vignes 2000, a nice vintage with good harvest conditions. Asked if this wine was sold on the usual schedules or only after a few years, he says as usual, beginning after a year, and this particular vintage was split between France, Japan and the U.S. (he was imported by Weygandt then, this importer still owing him an unpaid debt to this day, by the way). Replantings on old vines (not Trotereau's) This picture with a frost tower shows how decimated old vines can be heavily rejuvenated through massive replantings. That's what Pierre Ragon prefers to avoid (see his old vines further above), as the high proportion of young vines changes the nature of the cuvée, supposed to be originally an old-vines one. When the missing vines are too many, it makes common sense to leave it that way because if you replant a huge number at once, it is somehow deceitful to still name the cuvée "old vines". The two cuvées of Domaine Trotereau are priced respectively 4,3 € (Tradition) and 5,7 € (Vieilles Vignes), professional price (without tax). Pierre Ragon makes about 50 000 bottles a year. The wines of Domaine Trotereau are presently exported to the UK (Berkmann Wine Cellars and Tanners Wine Merchants), to Japan (Azuma Corp.) and soon to Canada (Ontario - LCBO). Excellent reportage hautement rehaussé par la qualité des photos. Excellents vins de QUINCY ! Nice article. But now for the important question. Does Pierre export to the Netherlands or is he prepared to send a few cases? Hope to hear from you soon.